Outside of the Telefuzz, Fred Everything and Eternia tracks, all songs are either local artists, used-to-be-local artists, or on a local record label. 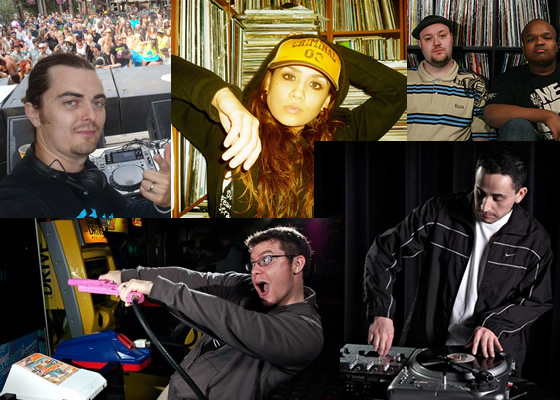 I hope for their sake that they’ve registered with SOCAN… We start things off in a nice deep house groove with Calgary’s house music Big Daddy Jon Delerious and newcomer Jaidene Veda. Then at about the halfway mark, we slip into some hip hop grooves, mining heavily from the Neferiu record label while showing love to other local talent like DFEand Tha Boxcutta. Issues with the logger once again prevent me from sharing the audio of this show with you. Kinda pissed because I really wanted to have these tracks in a mix form that I could easily rock on my mp3 player, rather than going through the effort of creating a playlist, or endlessly scrolling around the artist/song names — I’m kinda lazy like that. Anyways, lots of nice dubstep and beat-y stuff all show long. Some of the more astute listeners out there in radio land may have noticed that I’d taken most of the summer off and have been taking a break from my radio duties. I had a few things I wanted to check out, and I kinda needed the time off. But summer’s more than halfway over and it was time to get back in the saddle. 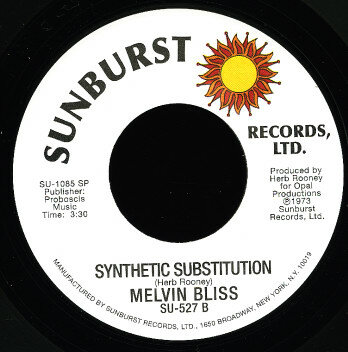 My return happen to coincide with the untimely passing of Melvin Bliss on July 26. Though not much is known about the man, he is most widely known for what was originally a 1973 throwaway b-side called “Synthetic Substitution”. The open 2-bar intro break (played by none other than Bernard Purdie) would soon find second life as one of the most recognizable breaks in hip hop, owing to its widespread sampling. If you’re not familiar with the man (and let’s face it, unless you’re a long-time crate-digging hip hop fan, you probably never knew), peep this excellent write up from the folks at Wax Poetic and watch the short documentary video below. For the show tonight, I threw together as many of those Synthetic Substution tracks that I could find on short notice. Sometimes, things just go right. That’s kinda how I felt laying down these tracks for my man Moonlips. He’s been doing the long-running Friday night breaks show for some time now, and it’s always fun to drop a breaks set for his listeners. It had been a while since I’d been on the radio, so I was itching to get back behind the boards and everything seemed to flow real nice. I hope you like this mix as much as I do.